As at present advised, I am in respectful agreement with the dissenting verdict of Sri. Justice Prafulla C. Pant in Rakesh Kumar Paul v. State of Assam – 2017 (4) KHC 470 (SC). The three Judges Bench was, inter alia interpreting clause (i) of paragraph (a) of the first proviso to Section 167 (2) Cr.P.C in order to consider whether the offence punishable under Section 13(2) of the Prevention of Corruption Act, 1988 (“P.C Act” for short) prescribing a sentence of imprisonment for a term which may extend to ten years, attracts the aforesaid clause. If the solitary offence in a case or if the gravest of the offences in a case, falls or fall under the above clause, then the accused will have to remain in judicial custody for a total period of 90 days in order to become eligible for default bail. Even though the Cr.P.C does not use the expression default bail, this phrase came to be recognized in legal circles because of the indefeasible right of bail given to the accused in custody on account of the default of the investigating agency in completing the investigation within the time specified by the Section which has categorized the offences depending on their gravity. The law expects the investigating officers to complete the investigation expeditiously particularly in cases where the accused person is in judicial custody. The penalty which the investigating agency pays for not completing the investigation within the stipulated time, is a release of the accused on default bail even without an examination of the case on merits, whatever may be the brutality or heinousness of the crime. The visible manifestation of completion of investigation is the filing of the police report under Section 173(2) Cr.P.C or the filing of the complaint by the empowered officer, before the appropriate Court. That is why when requests for default bail are made, Courts very carefully verify whether the police report or the complaint has been filed within the time - limit fixed under clauses (i) and (ii) of paragraph (a) of the proviso to Section 167(2) Cr.P.C. 1. Offences punishable with death. 3. Offences punishable with imprisonment for a term of not less than ten years. Delhi – (2001) 5 SCC 34, has held that in order to attract the third category of cases mentioned above, the offences should be punishable with imprisonment for more than ten years. The learned Judges went on to explain that the offence should be punishable with imprisonment for ten years or more i.e. ten years should be the minimum punishment prescribed. In my humble opinion, the above majority view does not reflect the legislative intent or even the true meaning of the words employed in the statute. First of all, the third category mentioned above, need not necessarily involve a solitary offence. It may be a case involving a solitary offence or a case involving several offences in which the gravest offence may be punishable with imprisonment for a term which may extend to ten years. While laying down the classes of cases, the Legislature is entitled to describe them either in singular or in plural. Secondly, applying simple arithmetic, while numbers 1 to 9 are undoubtedly less than 10, number 10 can never be less than 10. If a person is asked to give a few numbers (ignoring fractions) not less than 10, then the first number to be mentioned will be 10 since it is not less than 10. Hence, an offence which is punishable with imprisonment for a term which may extend to 10 years, is definitely an offence punishable with imprisonment for a term of not less than 10 years. The question that is to be asked in such a case is whether the offender can be sentenced to imprisonment for 10 years (which is the maximum sentence prescribed for the offence). If the answer to this question is in the affirmative, then the offence falls under the third category of cases obliging the accused to remain in custody for 90 days in order to be eligible for default bail. Going by the wording of the third category of cases under clause (i) of paragraph (a) of the first proviso to Section 167(2) Cr.P.C, such an interpretation alone seems to be permissible. It is for the Legislature, if felt necessary, to exclude from the above category, offences punishable with imprisonment for a term of 10 years. There can be no dispute that instead of using the phrase “for a term of not less than ten years” the Legislature could have been more specific by employing the words “for a term of ten years and above” which would not have given rise to any semantic confusion. punishable with imprisonment for a term which may extend to 10 years, it is an offence punishable for a term of not less than 10 years and, therefore, it is clause (i) and not clause (ii) of paragraph (a) of the proviso to Section 167(2) Cr.P.C which is attracted and the accused, in order to become eligible for default bail will have to remain in remanded custody for a period of 90 days and not 60 days. Regarding the mode of application for default bail also, the Judges of Rakesh Kumar Paul, are not in one voice. In paragraph 40 of the leading judgment of Sri Justice Madan B. Lokur, deviating from the judicial precedents, it is held that a written application need not be insisted and even an oral application for default bail can be entertained. But the concurring judgment of Sri Justice Deepak Gupta at paragraphs 110 and 111 would indicate that a written application is considered necessary since the learned Judge mentions about the bare minimum averments that should be made in the application. In paragraph 78 of his dissenting verdict, Sri Justice Prafulla C. Pant also emphasizes the need for an application. Nobody has any quarrel over the proposition that in order to avail of the right of default bail, the accused has to make an application. Whether such application should be oral or in writing was the real question to be considered. I am of the view that taking a practical insight, it is desirable to insist on a written application so that unnecessary disputes (whether before the Magistrate or the Special Judge) that an application was, in fact, filed soon after the expiry of the default period and before the actual filing of the police report or compliant and that the accused was prepared to offer bail etc, could be avoided. 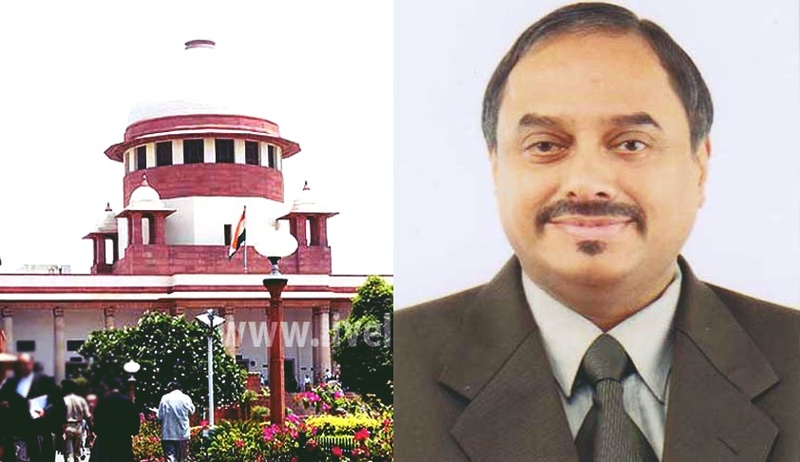 Justice V Ramkumar is a former Judge of the High Court of Kerala.